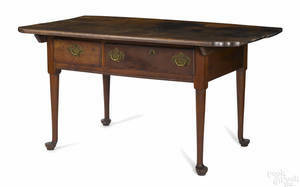 A 14 Karat Yellow Gold Locket. 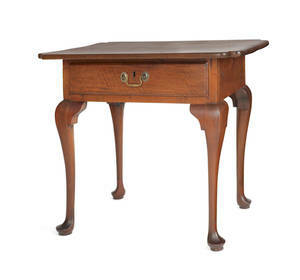 Pennsylvania Queen Anne walnut tavern table, ca. 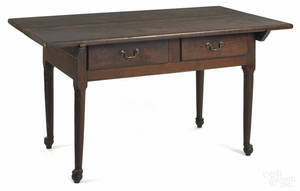 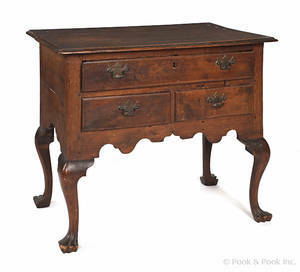 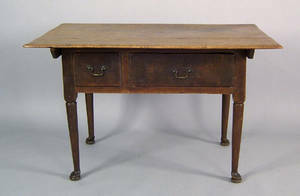 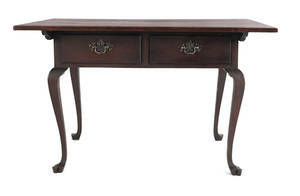 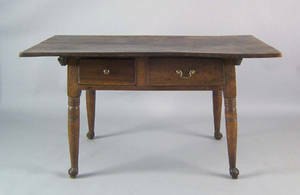 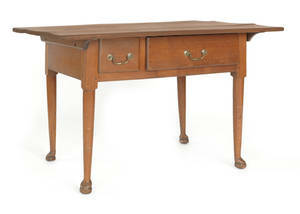 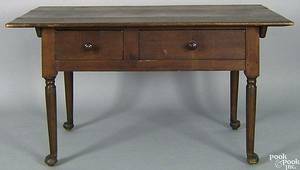 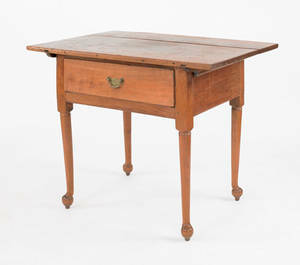 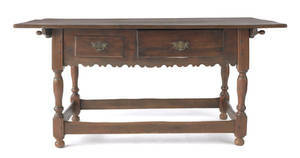 1755 , with an oblong lift top with molded edge, 2 drawers, and turned legs terminating in pad feet, 29 1/2" h., 48" w.